Hello all family and friends. 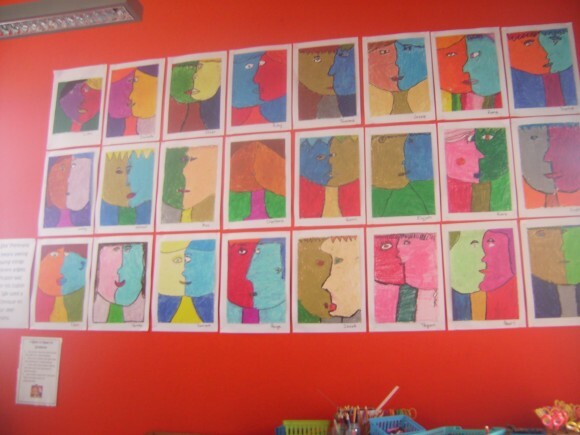 Our class Manawa1 have been doing some picasso cubism self portraits .If you do not know what cubism is I will tell you. It is making one face sideways and one looking straight at you. Then halve them and put them together.We got some white paper and some pastels and we drew the lines of the face with pencil and then we put the back pastel on.Then we put any colours we wanted. It is not the colour of our skin. Just a note, we are not these colours in real life. The part of a self portrait bit is not true because we are not all of these colours. All of us had fun doing it .We really like it. 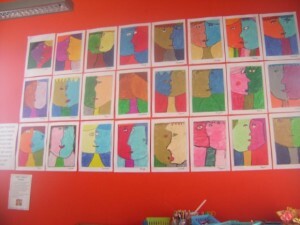 When you come to see our work s we hope you can see some more of our work and progress over the term. We are proud of our new website and you’ll be able see our work if you live in other countries and also if you have to go to work and do not have time. We are excited about this website and hope to use often. This is our first blog of the year. That art looks really effective Quinn. I look forward to coming in to the class to see it up on the wall. I am relieved to know those are not your TRUE skin colours 😉 and I LOVE the colours. They are spectacular. Thanks for sharing these.